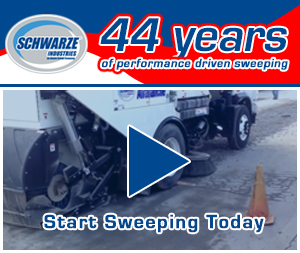 Repairing asphalt can be a tricky business now that old man winter has reared his head. 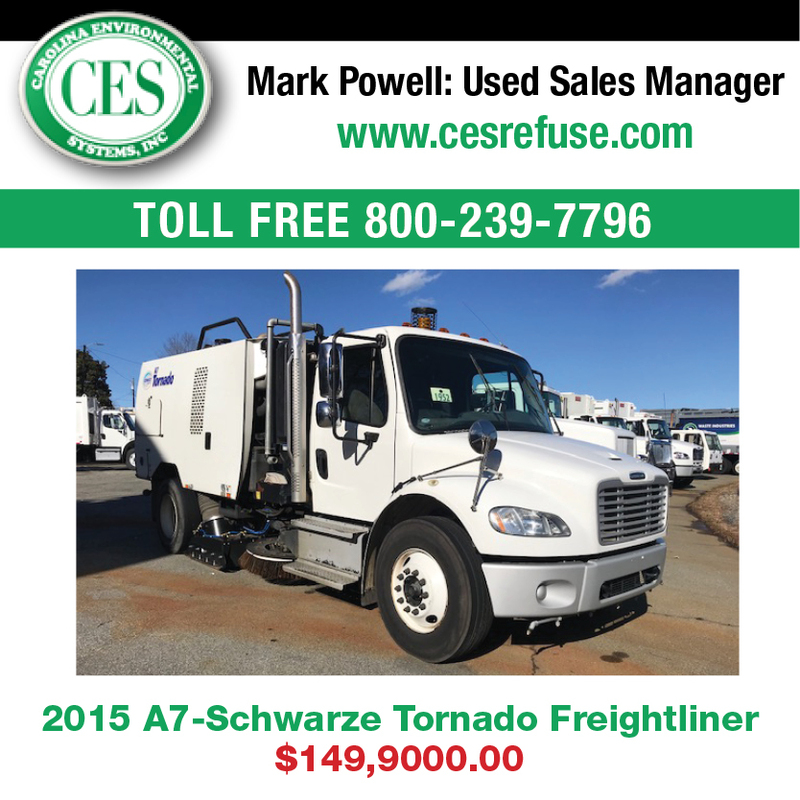 Instead of waiting for warmer temps to repair cracks, pot holes and other asphalt problems which can cause safety issues for your clients, you might want to consider infrared recyclers. Thomas Allen, general manager for KASI Infrared Corp.
Infrared allows a contractor to save money through reduced labor costs and recycling the existing asphalt which is also an environmentally-friendly solution. 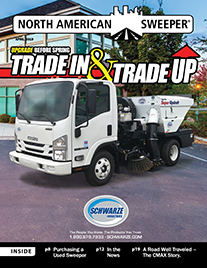 “While conventional repair requires the labor and equipment intensive removal of old asphalt from a damaged site and its replacement with new asphalt, the infrared technique expedites repair by heating, fusing and compacting recycled asphalt with minimal equipment, labor and new material,” says Allen. “The infrared technique can provide superior public, commercial, or residential asphalt repairs (such as roads, parking lots and driveways) at one-third the cost of conventional methods. 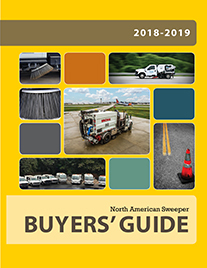 “In the pavement maintenance and repair market, KM International top sellers include infrared recyclers, hotbox reclaimers, and crack preparation and maintenance equipment,” says Blake. “The hotbox reclaimer and infrared go hand in hand because even though the infrared process allows the user the ability to reuse about 60 percent of the existing asphalt, you will still need to add hot asphalt from a hotbox in order to bring the repair up to grade. 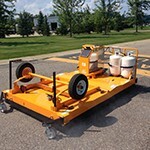 Our crack preparation and maintenance equipment is an introduction into the pavement maintenance and repair market, and are great units for testing the water in the pavement maintenance industry. “An infrared machine paired with the hotbox reclaimer is just what any contractor needs in order to diversify their business and have the ability to offer a reliable, long-lasting repair no matter what time of year. “If you can only afford an infrared or hotbox reclaimer, then we recommend the hotbox reclaimer first because no matter the goal you must have hot useable asphalt at your fingertips, and that is what a hotbox reclaimer will provide. 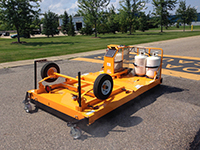 If you already diversified into asphalt maintenance, then infrared repair may be a great addition to allow your guys to work more during the cold season.